← My author friend, Leah St. James, and Surrender to Sanctuary…. I am thrilled to have MJ Schiller as my guest today. Let’s get to know her a little better, shall we? Geez! There are so many of them! I could go with the classics, A TALE OF TWO CITIES, THE GREAT GATSBY, TO KILL A MOCKINGBIRD… Or some new favorites, anything by Nora Roberts or RT Wolfe (they’re so good they make me furious!). But at the same time, I don’t wish to have written them. I don’t have Dickens knack for plot twists, Fitzgerald’s lyrical prose, Harper Lee’s taste for the South. I’m not as edgy as Wolfe, or as brilliant at plotting. And face it, there’s only one Nora, dangnabbit! But I think I bring my own flavor to the mix, and I’m okay with that. Ah, yes. Good point. We all have our own style, even though we may covet others’. Karaoke! Most of my friends would rather have a frontal lobotomy than get up and sing in front of people. But I…well I live in make-believe land whenever I write, why not carry that over into my nightlife? Pretend to be a rock star, and a decent singer. Besides, everybody’s drinking and they don’t care how bad you are anyway. It’s fun. It’s freeing! You should give it a try. NO THANK YOU! I’ll take the frontal lobotomy, please. This whole pesky day job/solid income thing! I think that’s pretty common in the writing world. Maybe someday, right? Bad review. At least that person’s interacting with your work. They’re getting it out there. They’re talking about it. And you might learn something valuable that will make you a better writer. I’m gonna cheat and go with two, because Alicia is not here to stop me. My wedding ring, for obvious reasons. And my laptop, because I give it all of my crazy thoughts. Oh! Make it three. My Kindle. Actually, I am here. But luckily for you, cheating is allowed on my blog. Which do you prefer: Board games/card games or television? Love them all, but I guess I’d pick card games. Thanks for having me, Alicia! I enjoyed running amuck on your blog. Thank you for coming, MJ. I enjoyed visiting with you…as always! With that, she broke from his grasp and lifted her skirts to free her feet. Running down the stone pathway that curved around the corner of the building, she followed the uproar. As she ran, parallel to the crowd following the road, she peered between branches of the oak trees planted at regular intervals along the edge of the garden. She could see a man with his arms tied in front of him, struggling against his captors as he was pushed, shoved and pulled. He wore a loose-fitting, beige-colored linen shirt. His blond hair was long on top, and flew in front of his face as he swung his head violently. He seemed to be trying, at the very least, to injure someone with his skull. She hastened her steps, and was actually the first person to reach the courtyard, angled as it was in her direction. She broke from the tree-line and stood just beyond the edge of the wide, hexagonal, stone court. High above, a small balcony jutted out from what she knew to be her father’s conference room. She continued to hear the whistles and cheers of the crowd, though they were briefly out of sight up the roadway, and it filled her with apprehension. In the past, her father had never let her see the goings-on in cases such as this, and now she understood why. It frightened her. Her heart beat faster as a few guards poured into the courtyard, walking backwards as they took in the actions of the mob that trailed. She could see Derrick, her father’s Captain of the Guard. Even from this distance the purple bruising on his chin was obvious. He held the rope tied to the captive’s wrists and jerked it, a cruel move that sent the man crashing to the stone pavers. Adriana gasped, but then covered her mouth. She stood, barely visible, at the fringe of the trees. If her father or his men saw her, they would order her away, of that she was sure. The man struggled to his feet and defiantly shook the hair out of his face. His white teeth flashed as he bared them, glaring with disdain at Derrick. His heavy work pants were torn at the knees, whether from the fall she had just witnessed, or from some other fall, she could not tell. The prisoner’s gaze lifted and caught hers. For several seconds it was as if no one else was there besides Adriana and the stranger. The air seemed to shimmer between them with the intensity of their stare. The noise of the crowd thundered in her ears, but was now accompanied by the sound of her own blood pounding through her veins. His eyes were the most startling blue, reminding her of the flash of a blue jay she sometimes caught a glimpse of in Ramport’s gardens. MJ is a lunch lady in the heart of Central Illinois. My gosh, can you get more folksy than that? She met her husband at the University of Missouri-Columbia and now she has an eighteen-year-old (how did that happen?) and sixteen year old triplets! She loves to read, karaoke (where she can pretend she is a rock star) and spends WAY too much time on Facebook. She grew up in St. Louis and still has family there. 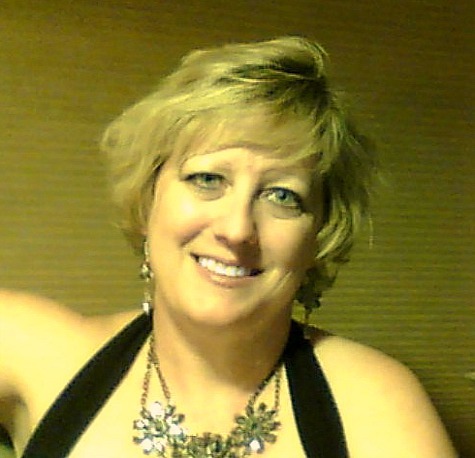 You can find MJ Schiller at www.mjschillerauthor.blogspot.com, MJ on FB, twitter, Pinterest, and Goodreads. You can find AN UNCOMMON LOVE at Amazon and BN.com. Okay, MJ, you and me, girl, karaoke!!!! I have a system in my house with over 5000 songs. I couldn’t get Alicia to sing… Excellent, fun post. So glad you stopped by today, Kathy! Thanks for having me here today, Alicia! I liked answering your questions, especially the one about who I’d be stranded on a desert island with! You are most welcome. Happy to have you. Yes…that is a fun question to think about, isn’t it? I would have trouble answering that one myself. M.J., your book is now on my TBR list! Thanks for sharing! Thank you, Susan! I hope you enjoy it! And thanks for stopping by to visit with us. What a great interview, ladies. Great questions, Alicia, and funny answers, MJ (as I would expect). Thanks, Diane. Alicia did do a wonderful job with the questions and I love how professional her blog looks. Love the blue on black! I appreciate you taking time out of your busy schedule to stop in with us and I’m looking forward to visiting with you later on in the tour! Thank you, M.J.! I appreciate the compliment. I didn’t create the blog, but I wish I could take credit. I love it too! Dancing I’m not as comfortable with. That whole body image thing. You’d think you’d lose it when you leave your teens behind… And I just don’t know how to look cool on the dance floor. I manage to have fun though. Especially if it’s a song I REALLY like! Thanks for coming by and thanks for the compliment on the cover. I love what Steven (my cover artist) did with it! Wonderful interview, M.J.! Just love your cover. Thanks, Lynn! Alicia brings out the silly in me! 😉 I appreciate you stopping by today! 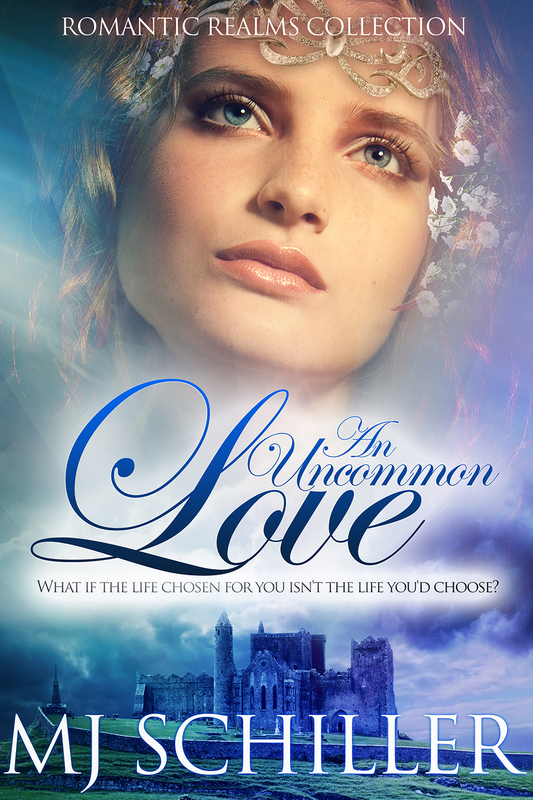 MJ Schiller�s New Release: An Uncommon Love |. And I do have a couple of questions for you if it’s allright. aspiring blog writer but I’m still new to the whole thing.